With the Engl E314 Metalmaster 40 Combo, the Bavarian-based amplifier company Tittmoning presents a two-channel guitar top with 40 watt power, switchable mid scoop and a Celestion Super 65 loudspeaker that appeals to guitarists of the hard fraction. 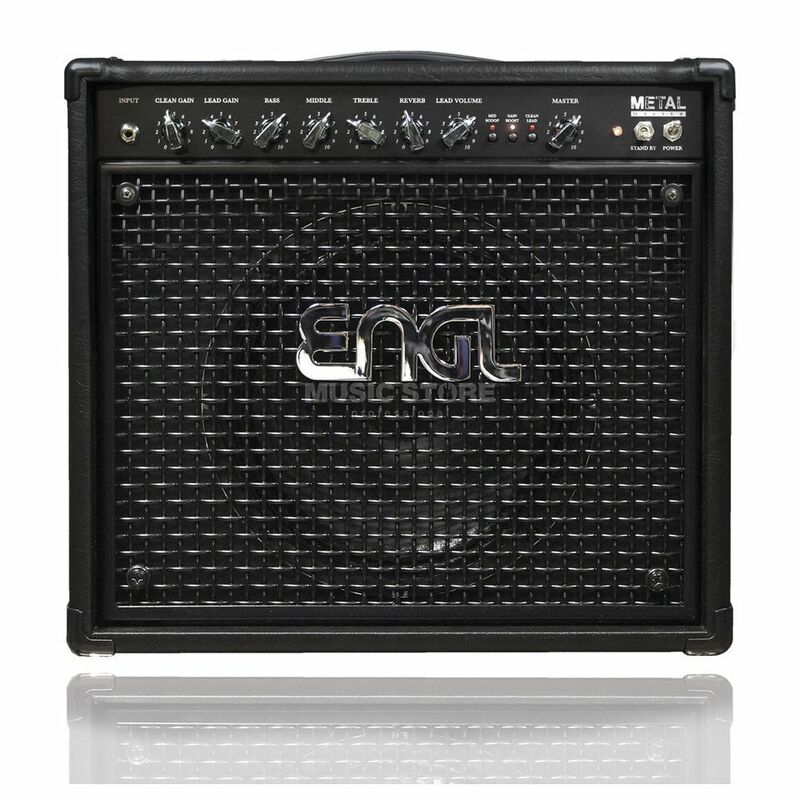 With two channels and switchable mid-scoop, the Engl E314 Metalmaster 40 offers a wide range of sounds for the hard pace. While the clean channel of the Engl Metalmaster 40 Combo convinces with its crystal clear sound, which is made for clear chord accompaniment of glittering arpeggios, the lead channel of the compact top part delivers a brute distortion sound, whose massive gain reserves predestine it to forge dark riffs or fat solos. The sound character can be precisely adjusted via the common 3-band tone control and the switchable mid-scoop. In addition, the Engl Metalmaster 40 offers a particularly plastic Hall effect and a serial effect path. With four EL84 tubes, the output stage of the compact Engl E314 Metalmaster Combo delivers a powerful 40 watts, releasing sufficient volume reserves for band rehearsals or performances on larger stages. The Celestion Super 65 loudspeaker convinces with its powerful sound, whose assertive mids make themselves heard in the band context. Additional loudspeakers with 8 Ohm or 16 Ohm to which the appropriate outputs are connected. In addition, the Engl Metalmaster is equipped with a balanced line output, which simplifies the removal of the amplifier on stage or in the studio.